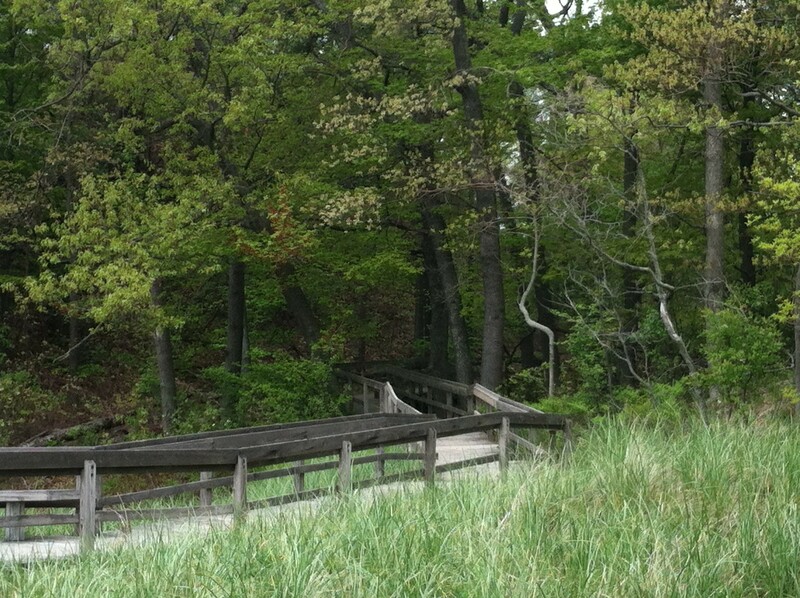 Norman F. Kruse Park has about one mile of Lake Michigan Beach, with breathtaking views of Lake Michigan. This is the major picnic area with 4 picnic shelters and an accessible ramp to the beach and into the dunes. The parks Picnic Shelter can be reserved for private parties. On the north end of the parking lots by the picnic shelters the park has amazing playground equipment for the kids to enjoy. This is truly a great park to the enjoy with the whole family or kick back and relax on your lunch hour. The city has a section of allocation of the beach along the northern part of the park just for Dogs. The stairs to the top of the dunes have some amazing views of the Muskegon lake shore but I also think the stairs/ramp down to the beach keep many beach goers away. So if you are looking for a more seclude beach this would be the place for you.